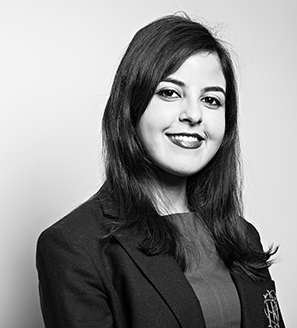 After graduating from Paris I Panthéon Sorbonne University with a degree in corporate law, Zineb angled her studies towards the practice of Wealth Management by integrating a Master’s degree in International Wealth Management at ESCP Europe. Zineb used this double-diploma in Law and Finance during her Wealth Management three-year experience in banks as well as in Family Office, before joining Equitis Gestion. Within the Back-Office Fiducie team, she ensures the carrying-out of legal, operational and compliance-related aspects of Fiducie agreements from their signature to their term.